I got this cookbook earlier this year and have sporadically cooked from it but after co-writer Shalane Flanagan won the New York Marathon last weekend, I decided to focus on cooking as many things as I could from this cookbook. It was shook me right out of my comfort zone for good and for bad haha. 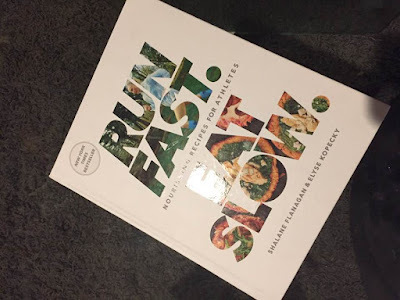 There are so many great recipes in here and they are coming out with a second book next year and I am so excited for it. This past Saturday, we decided or I guess really I did, to have appetizer Saturday and watch a movie with the girls. We had nachos and salsa, epicures cheese dip and sourdough bread and I decided to make this recipe from the cookbook. I had never cooked with figs before although I had enjoyed them on numerous occasions at restaurants and from Greg's cooking. 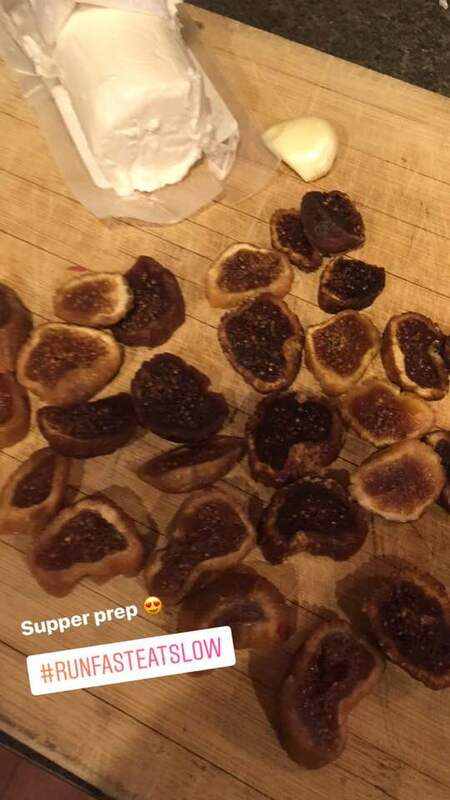 I searched on my Superstore App and they had fresh figs for me to purchase. I bought I think 6 or 8 or something like that. The ones I used seemed much smaller then the ones shown in the cookbook but other than that they looked the same. I had no idea that figs came in different colors but they do. The cookbook calls for a baguette with extra virgin olive oil brushed on to each piece. The Sobeys near my house did not have the baguettes in their bakery so I had to substitute with a thicker piece of bread. You broiled the bread and olive oil for a minute or two and then you took a clove of garlic and like rubbed it along the bread. I didn't think it was working but it tasted amazing. 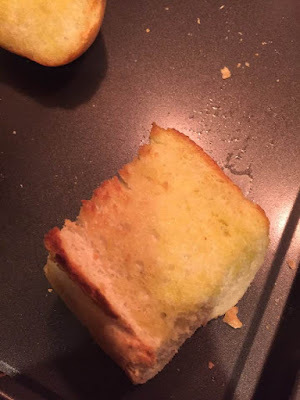 I will never ever buy garlic bread again and instead just do this. So much healthier and tastier! 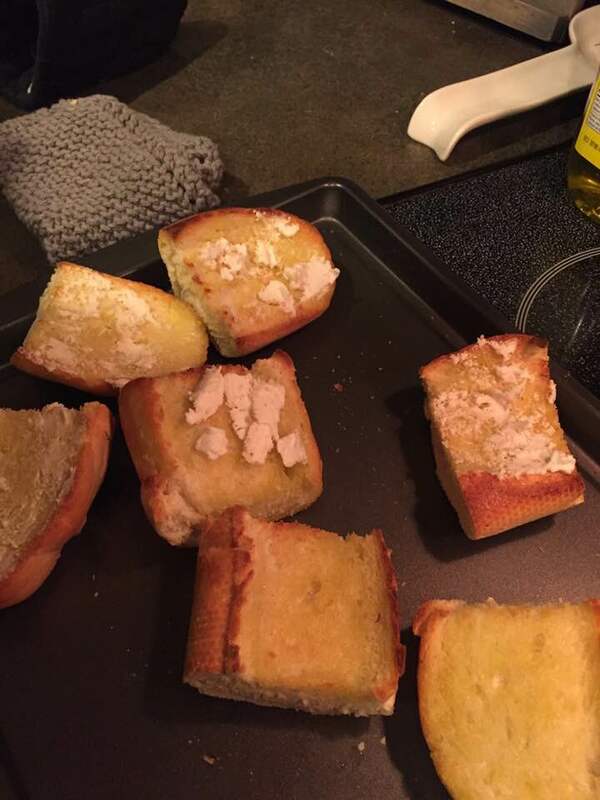 After the garlic, came spreading the goat cheese on the toast. I am notoriously known for my dislike of cheese but as it turns out, I don't like basic cheese but the fancier of kind. Just living up to my nickname, hey Alex?? Haha. The recipe called for drizzling honey over the toast once they were finished but Sobeys had honey goat cheese so I bought that instead. It was really hard to smooth onto the toast. Greg did this part of the preparation and figured out the best way to get it to smear onto the toast was by using a lot of cheese haha. 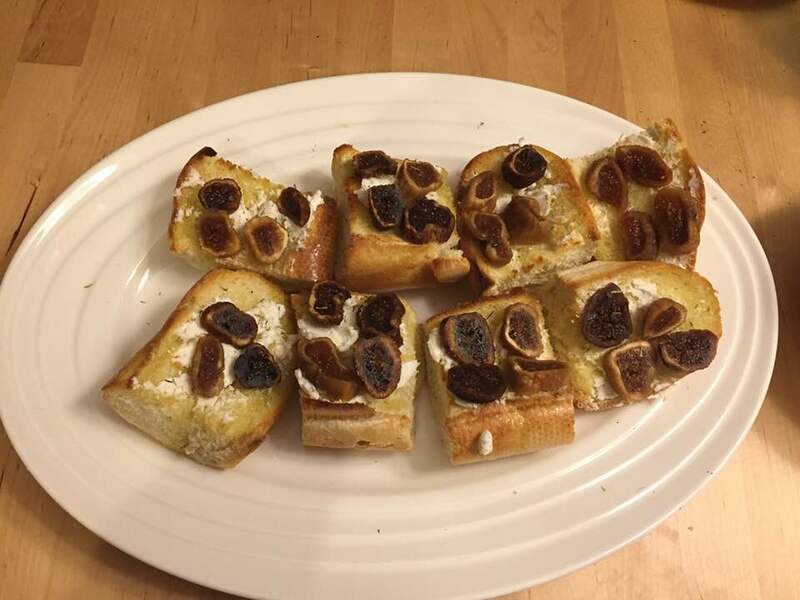 The end result of my Crostini with Chèvre, Figs + Thyme. I forgot to grab fresh thyme at the grocery store, so I used dried and I don't know if I could taste it or not. They were delicious. Greg and I devoured almost all of them since neither child liked them. We were both full and two were left over so we saved them for lunch the next day and just briefly warmed them up in the oven and they were just as good the next day. If you are coming to our house for Christmas Day, be prepared to taste this amazing appetizer at some point during the day!